Fact - Ticks are vectors, they carry and transmit human diseases and New Jersey is home to 4 of them! Ticks are just as deadly a threat as they easily travel across outdoor landscapes and latching onto pets that enter our homes and take root on a human host. Tick borne illnesses are on the rise in the US and spreading Lyme disease, Erlichiosis, Deadly Bourbon Disease (only in the US, no know treatment 100% mortality), Rocky Mountain Spotted Fever, and other tick-borne diseases – Oakmonts NJ Tick Control programs will put your mind at ease knowing your children are now safe in the own back yard! Oakmont Environmental is here to protect You, Your Family and the Environment and stop the tick invasion before it starts. Unlike mosquitoes and bed bugs, ticks don’t grab a blood meal and leave their hosts. Ticks have fish hook-like projections that dig into the skin of their host and hold tight to feed on your blood for hours, days or even weeks. At Oakmont Environmental, we utilize High Tech NJ Tick Control with a combination of a liquid barrier spray treatment and the installation of Biodegradable Tick tubes with treated cotton inside placed around your property. Mice gather the cotton for bedding and return it to their nesting areas where it delivers a tick controlling insecticide. Most Ticks get their first blood meals from mice, and when Ticks are exposed to the treated cotton they are eliminated. As with all our Oakmont the goal of NJ Tick Control is to Restore the Natural Order by keeping mice where they want to stay – outdoors! Keeping mice in their natural outdoor habitat also keeps the Tick population down to an acceptable level that poses no to little threat to humans. This is all part of the Green IPM (Integrated Pest Management) approach that we follow at Oakmont Environmental with everything we do! Dermacentor variabilis (Say), also known as the American dog tick or wood tick, is found predominantly in the United States, east of the Rocky Mountains, and as its name suggests, is most commonly found on dogs as an adult. The tick also occurs in certain areas of Canada, Mexico and the Pacific Northwest of the U.S. Dermacentor variabilis is a 3-host tick, targeting smaller mammals as a larva and nymph and larger mammals as an adult. Although it is normally found on dogs, this tick will readily attack larger animals, such as cattle, horses, and even humans. The 8-legged adult is a vector of the pathogens causing Rocky Mountain spotted fever (RMSF) and tularemia, and can cause canine tick paralysis. The Oakmont NJ Tick Control is designed to attack ticks before they hatch and keep killing ticks all summer long – combined with our Oakmont Repellagation system keeps neighboring ticks,mosquitoes and fleas from drifting onto your property and infecting you – for the ultimate mosquito protection ask about ZIKA 911. Oakmont Env is the exclusive NJ licensee for ZIKA 911. Lyme disease was first recognized in 1975 as a distinct clinical disorder and is currently the most frequently reported vector-borne disease in the United States. Transmission of the spirochete Borrelia burgdorferi, the causative agent of Lyme disease, occurs by the bite of Ixodes ticks. In the United States, the blacklegged tick, Ixodes scapularis Say affects the greatest number of people for three principal reasons: their geographic distribution coincides in the northeastern United States with the greatest concentration of humans; spirochete infection rates are high, often exceeding 25%; and the geographical range of the tick is spreading. The Oakmont NJ Tick Control is designed to attack ticks before they hatch and keep killing ticks all summer long – combined with our Oakmont Repellagation system keeps neighboring ticks,mosquitoes and fleas from drifting onto your property and infecting you – for the ultimate mosquito protection ask about ZIKA 911. Oakmont Env is the exclusive NJ licensee for ZIKA 911. The brown dog tick, Rhipicephalus sanguineus Latreille, is unusual among ticks, in that it can complete its entire life cycle indoors. Because of this, it can establish populations in colder climates, and has been found in much of the world. Many tick species can be carried indoors on animals, but cannot complete their entire life cycle inside. Although R. sanguineus will feed on a wide variety of mammals, dogs are the preferred host in the U.S. and appear to be required to develop large infestations. Infestations in houses can explode to very high levels quickly. Typically, a few ticks are brought into the house or kennel, often on a dog which has been away from home. The early stages of the infestation, when only a few individuals are present, are often missed completely. The first indication the dog owner has that there is a problem is when they start noticing ticks crawling up the walls or curtains! The Oakmont NJ Tick Control is designed to attack ticks before they hatch and keep killing ticks all summer long – combined with our Oakmont Repellagation system keeps neighboring ticks,mosquitoes and fleas from drifting onto your property and infecting you – for the ultimate mosquito protection ask about ZIKA 911. Oakmont Env is the exclusive NJ licensee for ZIKA 911. 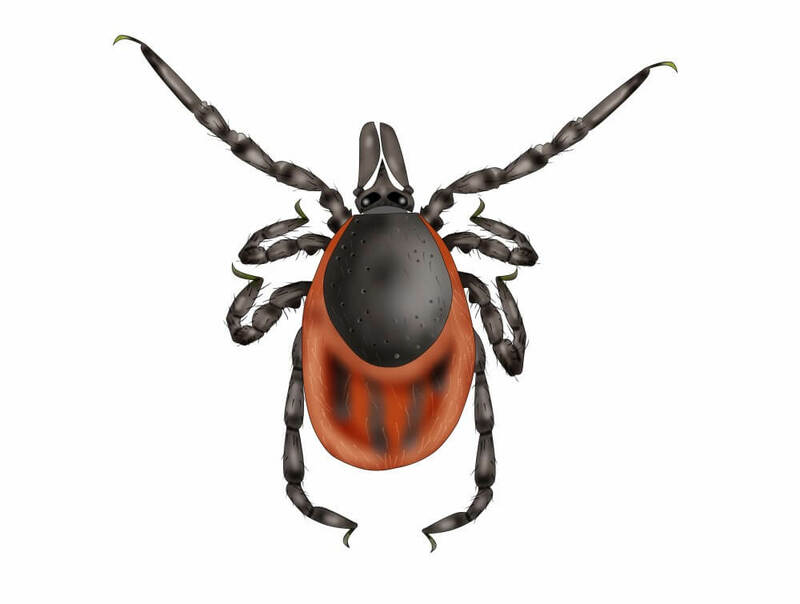 The lone star tick, Amblyomma americanum, was first described by Linnaeus in 1758. Lone star ticks feed on the blood of various animals (domesticated and wild) as well as humans. The tick was first considered a nuisance as it does not transmit the etiological agent of Lyme disease, but more recent studies have shown that this species can transmit various other pathogens to humans and other animals, such as those that cause ehrlichiosis, rickettsiosis, tularemia, and theileriosis. The Oakmont NJ Tick Control is designed to attack ticks before they hatch and keep killing ticks all summer long – combined with our Oakmont Repellagation system keeps neighboring ticks,mosquitoes and fleas from drifting onto your property and infecting you – for the ultimate mosquito protection ask about ZIKA 911. Oakmont Env is the exclusive NJ licensee for ZIKA 911.